If you are the kind of person who gets intimidated by all the gorgeous food photos online and wonders how those people can find the time and energy to make such gorgeous food all the time. This one’s for you. This recipe is SUPER simple, uses easy to find ingredients, and has a very versatile dressing that you can easily use again and again for many other (potentially less-than-instagram-impressive) salads of all kinds! If you felt like boosting the volume and density of this salad, by turning it into more of a meal, then I would suggest adding in some cooked quinoa or even a kamut rotini pasta kinda thing. But simply as is, is quite lovely. 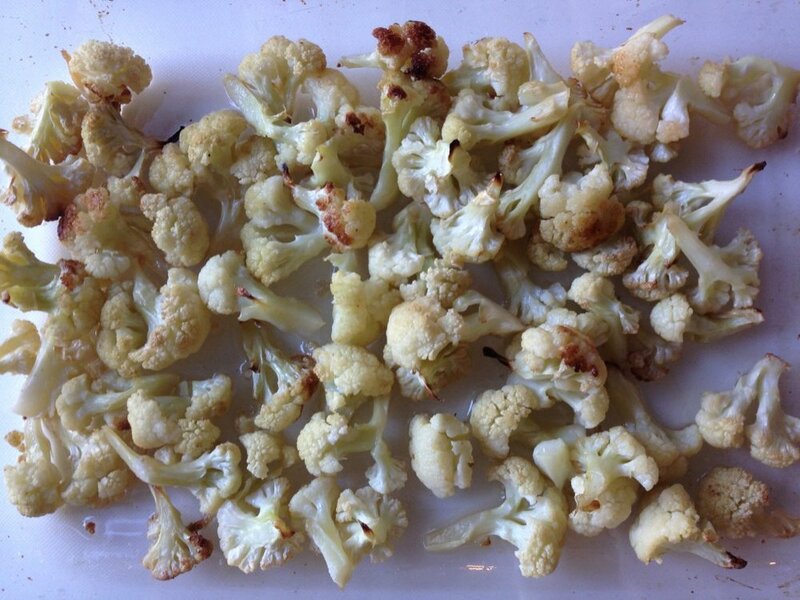 Toss cauliflower florets with coconut oil, salt & pepper and spread on a lined baking sheet. Roast for 30-35 minutes until lightly browned and fork-tender. Set aside to cool. In a medium bowl, place cooled cauliflower and all other salad ingredients. In a medium glass jar, place all dressing ingredients and shake well. Toss salad ingredients with enough dressing to coat, adjusting seasonings as desired. Serve immediately.